The Super Bowl is just a few weeks away! 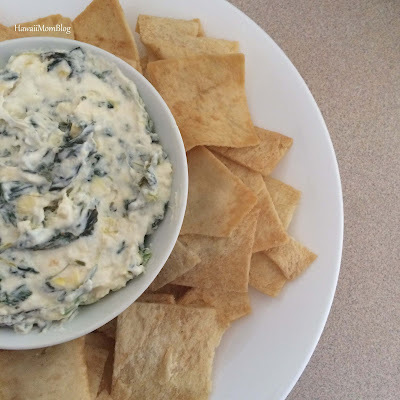 For the past several Super Bowl parties I've brought desserts, but in years prior I'd often bring a Spinach Artichoke Dip (based on this recipe from Allrecipes.com) that was always a hit. I made it recently for a gathering to watch the College Football Playoff National Championship Game, and I will definitely be making it again for this year's Super Bowl party. Stir in the artichoke hearts, spinach and Parmesan cheese. Mix in the garlic and lemon juice. Bake uncovered for 8-10 more minutes (until surface is lightly browned).